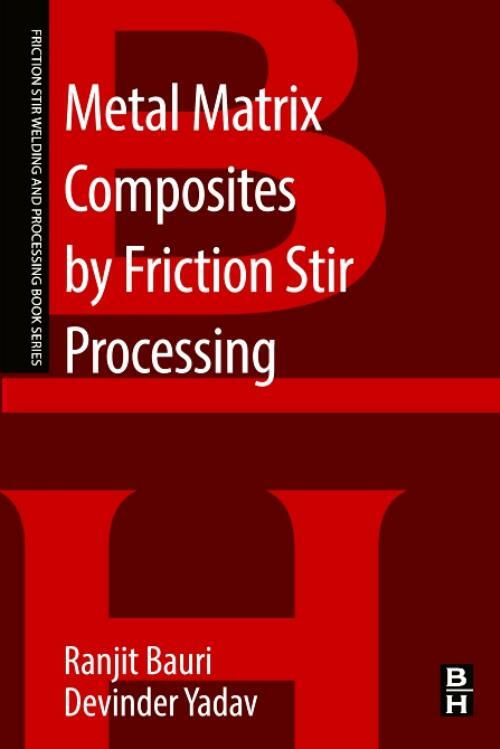 Metal Matrix Composites by Friction Stir Processing discusses the capabilities of utilizing friction stir processing (FSP) as a tool to manufacture new materials, such as composites. FSP is considered a tool for grain refinement. However, this work illustrates how FSP has a wider capability due to the material flow and mixing the process offers. This book highlights such aspects by demonstrating the ability of the process to incorporate a second phase and make metal matrix composites (MMCs). The book covers the current research on processing MMCs by FSP, and presents a novel approach of making ductile MMCs by FSP using metal particle reinforcements. Dr. Ranjit Bauri is an Associate Professor in the Department of Metallurgical and Materials Engineering at Indian Institute of Technology Madras. Dr. Bauri's research areas include Al and Ti based Metal matrix composites (MMCs), Friction stir processing (FSP) and structure-property correlation in friction stir processed materials. He has worked extensively on understanding the microstructure evolution during FSP and developing new materials including MMCs and solid solutions by FSP. He has more than 45 publications in referred international journals and one Indian patent to his credit. Dr. Devinder Yadav is a Research Associate in the Department of Mechanical Engineering at the University of Colorado, Boulder, USA. Dr. Yadav received his Master of Science (by research) and PhD in Metallurgical and Materials Engineering from Indian Institute of Technology Madras, India in 2010 and 2015, respectively. He was a Research Associate in the Department of Materials Engineering, Indian Institute of Science Bangalore, for short term. During his Masters and PhD, he carried out extensive work on development of non-equilibrium composite and solid solution by friction stir processing and carried out detailed investigation on the microstructure evolution, mechanical properties and thermal stability of these composites. His research interest include Friction stir processing, non-equilibrium composites, electron backscatter diffraction (EBSD), dynamic recrystallization and flash sintering. He has published 17 papers in peer reviewed journals. With a total of 171 citations, his h-index is 5. IIT Madras conferred him with Research Award in recognition of the quality and quantity of research work carried out during his PhD.